While you might not recognize Yasuhiro Irie’s name, you probably know the shows on which he worked. Be it critically acclaimed Fullmetal Alchemist Brotherhood which he directed, Soul Eater’s first Opening animation which he storyboarded and animated all by himself or Cowboy Bebop’s 20th episode Pierrot le Fou for which he did most layout and artistic direction. Nowadays he has taken a break from big productions as he is trying to fund his projects. Halloween Pajama is a manga he has been self-publishing since 2013 which tells the story of 10-year-old Jackou Ran fighting evil spirits in her dreams. It is a Magical Girl manga with a Halloween esthetic and a unique sensibility which makes it an excellent read. Ever since he created the manga, he has been willing to create an anime version alongside. Last year he launched a Kickstarter campaign to bring together the funds necessary to the production of a 24 minutes OVA adapting the side story Halloween Pajama in Seattle The Dream Catcher. Sadly he wasn’t able to collect enough. He has not given up nonetheless and is wanting to give it another shot. In the meantime, he is working on providing more visibility and acknowledgment to Halloween Pajama and his name. It is to that extent that he reached out to us during the Kickstarter campaign and answered several of our questions surrounding the project. I have noticed that you attend many anime conventions all around the world, Halloween Pajama in Seattle is inspired by one of your travels overseas. What is it that you like the most about those travels, and what events abroad did particularly strike you? Yasuhiro Irie: I have participated in lots of anime conventions so far. I attended Big Apple in New York, CONNICHI in Germany, Paris Manga and Japan Expo in France, Japan Expo in Belgium, Japan Weekend and Salon del Manga in Spain and Sakura-con in Seattle. They are all unique and beautiful events. Among those travels, one that stood out was the city of Seattle. Under the new streets are 100 years old undergrounds! I was amazed. I had much fun in this incredible place, I felt like Jean Valjean walking down Paris’s sewers. That’s where I got the idea for Halloween Pajama The Dream Catcher. You want the animated episode of Halloween Pajama to be a musical, can you tell us more about what you have in mind? My favorite animated musical is The Prince of Egypt. The visuals are magnificent, and the images are splendid and full of energy. I got interested in animated musicals watching that movie. Animation aside, my favorite musicals are Les Misérables and Annie. Singing allows a more direct expression of the characters distress, joy and sorrow. I loved seeing the live performance of Wicked. Halloween Pajama will be directly influenced by what I felt watching Wicked. It will be a crystallization of all the emotions I felt watching all those musicals. The illustrations that you have posted regarding the anime give the feeling that the episode for Halloween Pajama will have a similar aesthetic as your work on the opening for Soul Eater is it the way you want to go visually? Soul Eater is a work that fitted my sensitivity. It is an opening that I directed and animated all by myself without any constraint, and I gave birth to it very naturally. To what extent I will be able to move away from what I did on Soul Eater in Halloween Pajama is one of the most significant challenges I am facing. However, I will not betray my sensitivity, and I think both works will convey similar feelings. To surpass one’s past work is one of the themes of Halloween Pajama. What are your ambitions for Halloween Pajama after The Dream Catcher gets its animated episode? After The Dream Catcher, I want to have an adaptation of all 360 pages of my manga into a TV series. I want to create a 12 episode show with an extraordinary animation which everyone will appreciate. I also have a few other episodes I am working on like Halloween Pajama Christmas, Halloween Pajama Easter and so on. There are still tons of announcements to be made! I would also like to have my manga translated into French, not only The Dream Catcher but the whole 360 pages. 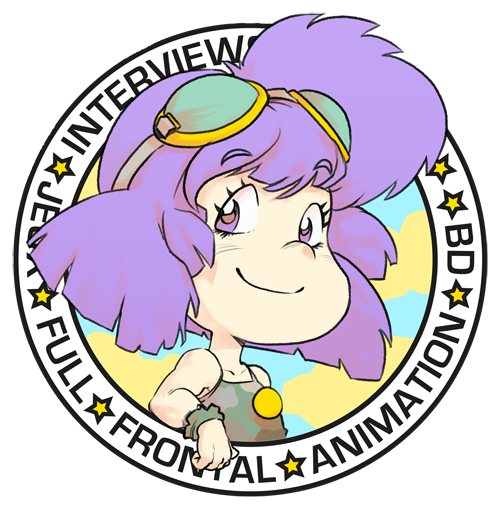 In your Kickstarter, you point out the working conditions of animators and how you would like to improve the salaries of Douga-animators to be able to train young animators. Can you tell us more about your take on how the anime industry works and the condition of animators? Life as a young animator is painful. Salaries are so low that they can’t support themselves without the help of their parents, even though they work more than twelve hours a day. It has been like this for thirty years now, but in the past years, the increasing amount of lines and precision in the drawings has pushed animators in their last retrenchments. To answer this problem, we have only one option: to raise the in-between animator’s salary. Regarding Halloween Pajama, we envisage paying in-between animators a high income so that they will be able to work in right conditions. Can you tell us more about the production and the team behind Halloween Pajama? How many people are you working with? How much work does this represent? I am personally taking care of writing, directing, storyboards and all of the key animation. OZAKI Tomomi is in charge of Character Design. She has worked as Character Designer on works such as KURAU Phantom Memory and Le Chevalier d’Eon. All the Key Animation will be drawn by myself. Once this work is done, I will have a studio take care of in-between animation, compositing, coloring, backgrounds, and framing. All this will take shape once the crowdfunding campaign is over. However, as I will be asking a trusted studio and staff, I can assure you the result will be fantastic!